This episode is super manly and definitely meets the facial hair quota. Barcus Patty is the Owner of Thrice, a maker of natural beard grooming products in Mobile, AL. Barcus is a Mobile entrepreneur that is harnessing the power of the internet to sell his products to a larger audience. 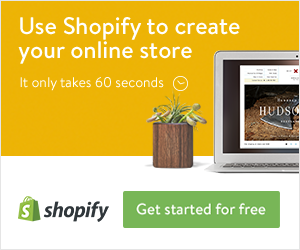 He gets into that a bit and talks about his experience with Shopify and Amazon as a small products manufacturer. I find his story interesting because he is right on the cusp of breaking through with his business and I love seeing people make that jump. Barcus, besides having an almost perfect name, is a really genuine guy and it is my pleasure to be able to share this discussion with you. Make sure to follow Thrice on Facebook and Instagram. And check out the products on his website. Barcus: My name is Barcus Patty. I'm with Thrice. It's a men's grooming products company. Create all natural beard grooming products and soon to become all natural men's grooming products in general. Marcus: Welcome to the podcast, Barcus. Barcus: Thanks, man. I really appreciate you allowing me to come on. Marcus: ... and talk about what you have planned for the future and stuff. But before we get started, because I could jump right into that, but I won't. But before we get started, why don't you tell us a bit about yourself. 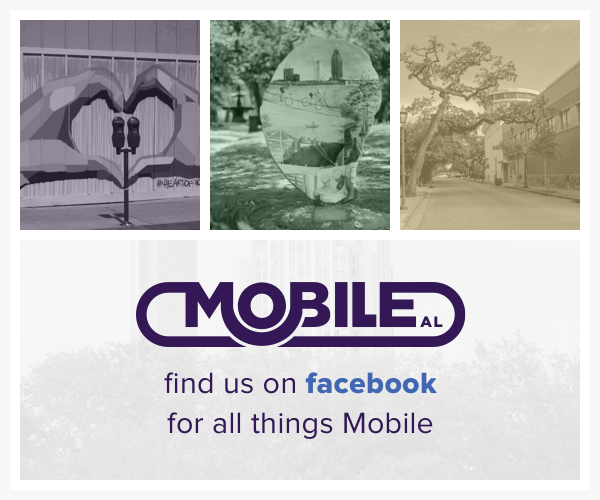 Tell us, are you from Mobile? Where'd you grow up? Where'd you go to school? That kind of thing. Barcus: Sure. I was originally born in Northeast Texas, little bitty town called Greenville. We moved around quite a bit. My dad's job that he had at the time ... We just lived in various parts of Texas, California. We moved back to Texas in '94. We came to Fairhope, Alabama and I've essentially been here ever since. First couple semesters of high school, I went to school in Texas. I went to high school at Fairhope, finished up at Daphne. I did a little bit of college. I was going for an electronics engineering degree. I realize it was 90% math so I quit. Math is not my forte. It's just not interesting to me, so I just never ... You know. After that, I had several jobs. Retail, wholesale, I have had my own business before. Most recently, I was insurance adjusting. I was out of town for about three years solid and very grateful for the work, made some great money, met some great people and traveled all over the united states. But I obviously missed home, missed my kids, missed my girlfriend, now my wife. Barcus: I quit that job and we got married and we moved back and we're here. Marcus: Now going back, so you said two things. One, you went to school for electrical engineering but didn't finish. Where was that? Marcus: Bishop State, and then the other business, was that the insurance adjusting business? Or was there something else there? Barcus: No. About almost 10 years ago now, I started a installation company for draperies and blinds, window film, shutters. 2006, 2007 was great for everybody. 2008 kind of came around and crashed, and then I got out of that. It was just a very lucrative business while it was there. It was just a very, very niche market, and then with everything happening in 2008 with the economy, obviously that would probably be one of the first things to go was people not spending money on window coverings. Marcus: Just a job that you owned? Barcus: Well, you know, I enjoyed the work, but it's all labor for the most part. I never saw myself 10, 15, 20 years going up and down a ladder. Barcus: One day I would fall off, that's just my genes. Marcus: That's great. So you're married, kids. This Thrice is ... I want to be clear with everybody where we're at. How long have you been doing that? Barcus: Almost two years now. Marcus: So it's safe to say that you're still in start-up phase [crosstalk 00:03:51]. Barcus: Oh, absolutely. Yeah. Still in the grind, still ... Yeah. A couple years ago ... I have a buddy that I met through working at Felix's. When I would come through insurance adjusting, I would work at Felix's off and on a little bit. That's where I met my wife. Barcus: It's a little special to me, but I met a great friend there named Anthony Lee. You know Anthony. Barcus: We both met there and we both are a little bit older than the crowd that was there, but we're both families and we always want something better. So we're always looking at that mindset of there's always something better. He called me when I was in Missouri working and he was telling me about Amazon and all this, and e-commerce. I'd never understood all that. So him and my wife they were both really instrumental in helping me develop what is now Thrice. Getting these products online, creating a website, getting onto Amazon and other marketplace. People use the term shoestring budget, everything that I make just goes right back into the company. Barcus: Somehow trying to refine it to make a product or service better, improve the website. So, yeah, absolutely. Marcus: At some point in time, you're going to get the traction that you're looking for and it's going to scale, which is what you're looking for that the wine company didn't have for you. I mean, those of you that are on the website listening to this are going to see Barcus has a very plentiful beard. I guess it's safe to say that ... Did the beard come first or did the products come first? How did you get started on all that? Barcus: Again, I have to give a lot of credit to my wife. I hope she's going to listen to this thing, because I'm really playing her up. Marcus: Got to get some brownie points in somewhere, right? Barcus: Yeah, I would always grow a beard out and it would get to a certain length and it would just make me itch like crazy, so then I would just get annoyed at it and shave it all off. Barcus: And she was like, "Well, I really, really, really want you to grow it out." Of course, I grew it out and then she got me some beard oils and beard balm. I really tried it and it would work. It would stop the itch through that growth phase. Then I was just being a stubborn old man, I'm like, "Well, I can make this myself." Two years later, I have a product line and ... So, yeah. It was a lot of trial and error. I gave a ton of samples out to my friends and family. Those first few iterations, everybody told me they didn't like it at all, which is great. I needed that feedback. But I finally refined everything. I scrapped several formulas and I've gotten to the point where I think I've got a pretty nice product line that I'm always wanting to expand it, but yeah. It started out by helping me with ... She found me something that would help with the itch. Then, honestly, too, when you start growing out a beard, at least for me, and I know other men experience it, if you don't take care of it, you'll get a little bit of beard dandruff. Same thing if you didn't take care of your hair on the top of your head for weeks at a time. You would experience the same thing. It provided a solution to those two issues. I researched the market, the men's grooming industry itself and then the beard grooming industry, and I was like, "Well, I've got a viable product now and it's a trending and a high-profit industry." Marcus: Yeah, there's been a huge boom, I would say, probably, what? Over the last five year or so in that kind of area. Barcus: Well, just men's grooming in general. Everything has kind of gotten a little bit more high-end and niched down into very specific products for solutions. Marcus: Yeah. So one of the reasons why I wanted you on is because you have a product that you sell through multiple different channels. Most people when they think of selling products, they think retail. Correct me if I'm wrong, but you're not selling through retail currently. Do you have a [inaudible 00:08:22] in any stores? Barcus: I've got two ... A friend of mine, he actually, John McCreary, he opened a shop in Long Beach, Mississippi called The Dapper Pig. He likes to call it a brotique. Barcus: Yeah, he's a great guy. Great friend of mine, but he has just men's clothing and men's accessories. Through a mutual friend, he heard about my products and I sent him some samples and boom. They do really well there. It was nice because I'm getting feedback from him that I wouldn't get through a website. There's one product, that's Seaside, that women tend to buy for their men. But the predominant one that men come in to buy for themselves is Texas Orchard. Two different scented products, two different scents, but it was just interesting to get that kind of feedback, you know? Marcus: Yeah. Is retail a main push for you though? Or is it really ... Because the reason why I'm getting into this is because one of the things that I find interesting is that, it seems to be, your main mechanism for selling your products is your website, which is a Shopify site, and Amazon. Marcus: And Amazon is something that we don't have a whole lot of people coming in and talking about. I know you have extensive experience in that and you're using that experience now to sell your own products. Marcus: But is retail, is that an area that you're trying to grow? The wholesale market and selling through retail? Barcus: I think that I've always wanted ... We just moved back in December. Me and my wife ... Well, my wife had a baby, I was there for support, but we had a baby in December. We moved from Mississippi a week later ... Well, she graduated law school. A week later she had a baby. A week later after that, we moved to Mobile. Barcus: Yeah, she's really lazy. We've been just now to the point of settling down, and I say all that to say this; There is a very specific goal to grow a local community, and then it slowly expand across the Gulf Coast into other regions. I do want that local and retail shops, salons, barbershops. It's something that has just kind of been on the back burner as we settle back into Mobile. Barcus: But absolutely. Amazon is a completely different animal than I even knew about three years ago. Marcus: For those that don't know, Amazon is the number two search engine, is it not? Barcus: Just about, yeah. I think so, yeah. Barcus: So, yeah. Getting on Amazon was a little difficult as I manufacture and distribute all the products. There's a private label community that is growing and growing and growing every year, it seems, where a lot of people are buying products and getting them manufactured overseas, Taiwan, China, and then building a brand around those products. Creating a ... It's considered a cosmetic. Creating a cosmetic and distributing it to Amazon proved a little difficult. It took some time, but now I'm on there slowly building those and increasing the ranking. I'm hoping within the next three to six months, that will be the cash infusion that I need to expand in multiple ways for the business. Turn it into a real business, essentially. Marcus: Yeah. No, that's valid. I mean, no slight for where you're at because I think your story is one that people need to hear because there's many people in our community that are at that, "I have an idea," or, "I have a product and I don't know how to go about that." The reason why I wanted to have you on is because I think you're far enough along. I mean, you're making sales. You've got retail going on. You're on amazon. You've got your own website. You're actually doing something, right? Now it's just a matter of ... At some point in time, you're going to get that traction and you're off to the races. Barcus: Oh, yeah. There's a big, and I could rant about this forever, but in e-commerce there's a big [inaudible 00:12:44] that anybody can make a million dollars in six months or 12 months. If it was that easy, you know? It's a hustle, man. It's harder. I've quickly found out, I see people and have clients that are doing better and more successful than me that simply have a cash flow business. They are creating products that are trending certain categories with maybe a mid-competition, low-competition, but they're there to simply create a cash flow, which is great. But growing a brand and trying to make some longevity and build legs on it simply takes longer, which is what I want to do. I'm okay with it. That's the long game. Marcus: Yeah. One of the questions that we always ask is if you were talking to someone that wanted to get started running their own business, what's the one bit of wisdom that you would impart to them? Thinking about that person that is right behind you, like they have a product that they just think that they've formulated or that they've got, what would you say to that person? Marcus: You're passionate about beards? Barcus: Yeah. I mean, now I am because I'm creating this product. My name is essentially on this. Marcus: I'm just giving you a heard time. Barcus: I'll back up. So find three things that maybe you're interested. If somebody's interested in hunting and woodworking and fishing or art or something, look for products that you use on a regular basis that you find lacking. "This is the best that I've got, but it could be better." Start researching those kind of products. Look at the negative reviews on that website and look at the negative reviews on Amazon. See where those products are lacking. If you can improve upon that ... The trend is also to source products in China, but don't knock the American manufacturers and suppliers. I get all of my products ... Now some of the products and raw ingredients are created in other countries, but all of the products that I buy are from American based companies. Barcus: That's just how it worked out for me, which is great. I'm happy to do that. I'm happy to say that, for the most part, everything is bought from the United States. Find those products and start doing some research. If somebody's passionate about fishing and they create their own fishing lures on the side, start doing some research about it. How can you grow that? How can you scale that? Same thing with art. Can you never find that perfect paintbrush? Look into having your own manufactured. It's not as hard as people think. It does take a lot more time. I think in the beginning, it takes a lot more time than it does take money. Barcus: If you're sourcing a product from any type of manufacturer, it's going to take time of communicating, building a relationship, getting samples and back and forth, whether that's the U.S. or overseas. In my opinion, that's the best way to do it. That's what's worked for me. Marcus: Right, you've just got to go after it and start taking some sort of action. Starting Blue Fish was the same way. I bought a laptop and that was really just the start to it. 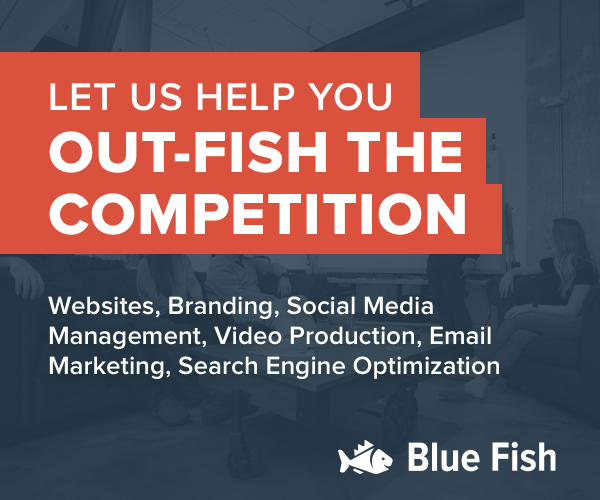 You just buy a laptop, start finding businesses that maybe need a website, do some educational aspects and then you just slowly grow it over a period of time. I think any business is kind of like that. Nothing just immediately happens. Marcus: Even a restaurant or something like that. I mean, there's going to be years of experience of either working in restaurants and understanding food and food costs and labor costs and things of that nature before you go out and start your own, too. Barcus: I think once you have a product though, this is somewhere where I lack, I think it's just apprehension, but marketing it to the right audience. Getting your story told in a way that portrays to your audience. It's hard for me to put myself in front of a camera just out of ... I want everything to be perfect. I'm not shy by any means, I'll talk to a brick wall, but I have this consciousness that, "Well, it has to look perfect." Then I'm looking at all these high-end brands and their photos are amazing and everything like that. But social media allows you to have a rough Facebook live video because people are used to that and it conveys a certain rawness to it. Marcus: Sure. People want real more than they want perfect. Marcus: Well, what are the last two books that you've read, or resources that you've used, that you've found helpful? Barcus: Resources that I've used. I read a ton of information online. Marcus: Is there anything that jumps out? Barcus: Let me think about that. I'm trying to think of the last book I read. I read Gary Vaynerchuk's last book, and I don't remember the name of it because it's on my Kindle, and I don't even remember the cover of it. Marcus: It's the one where he does a compilation of all his [crosstalk 00:18:15]. Barcus: That's a heavy book to get into. Marcus: It's like 500, 600 pages or something like that. Barcus: That was a great book, yeah. I follow Tim Ferriss and Gary Vaynerchuk online and they both have very different mindsets about how they go after things. I respect the hustle. They both work probably as hard as they did in the beginning. I found out recently that I love the process more than I like the end product. I love learning about how to create a certain product moreso than ... That gives me more joy than being like, "Oh. now I have an endpoint." Like that's great and I obviously need that for my business to grow, but I love learning. It's the process. Marcus: It's interesting because looking back, many people that have been on the podcast, it's the same thing. Business owners use owning a business as a way to ... They're still learning, they're still aggressively trying to educate themselves on various aspects because it really never ends, does it? Marcus: There's never, at any point in time, do you achieve nirvana and realize, "I know everything there is about owning a business now." Barcus: Amazon is a very different beast. What worked six months ago, as far as scaling a business and ranking your products, what worked six months ago doesn't work now. A lot of that is simply due to competition. You might have had a great product six months ago, but now you've got people that are coming after you and if you don't refine that listing, refine those images, it's ... You got to appeal to the people. People at the top of any search page, they're there to make money. They're there to hustle. If you want to stay king of the mountain, you've got to keep working at it. Marcus: Yeah. Nothing is stationary. I know you just had a baby, so this next question may be really abbreviated answer, but what do you like to do in your free time? Do you have hobbies? Barcus: Man, I'm a very hands on person. I think that's why I like my business so much because I'm actually making stuff and creating stuff. I love building stuff. home projects, DIY. I built my wife a headboard for Valentine's day. I was a little late on it, but she still appreciates it. But that was something that I didn't have a plan, I just kind of had it in my head what I wanted. I took the measurements and it worked out better than I even thought it would. She was impressed, that's really all that matters. But I love hands on things. Just building something, fixing something, home projects around the house. Barcus: Spending time with my wife and newborn and children is ... I have to make a conscious effort in my brain to allot time for them or I won't. If it wasn't for my wife, I would be in front of my computer for 16 hours a day. I'm glad that she pulls me back, be like, "Hey, can we go grab lunch?" I kind of have to get out of the zone, "Oh, it's 3 o'clock, I haven't eaten since 7 a.m."
Barcus: But I do miss date night, having a newborn. It's challenging. It's something you adjust, as any new parent, you adjust and you adapt and move along. Barcus: We're fortunate enough to have our families in Mobile and Baldwin County. The grandparents, they'll always take the newborn at a moments notice. Marcus: I was not condoning throwing your child in a five gallon pail or anything along those lines. Barcus: You don't strap it in with the seatbelt? Marcus: Yeah, so we don't get any hate mail. All right, so tell us where people can find you. What's the URL? Facebook, Instagram. Where can they buy your products? That kind of thing. Barcus: Yeah. The website is thrice.co. Facebook.com/thrice.co. Instagram, thriceco. I'm on twitter, I don't do much. I don't have much engagement in there and that's because I don't put a lot into it. Wren keeps telling me I need to get on Snapchat and I just haven't got to it yet. I need to. It's one of those things. Again, going back to that putting yourself in front of the camera and the video and everything. But yeah. Also, if you're in Long Beach, Mississippi, The Dapper Pig. Just Google him, you can find him on there. His address and phone number is on my website, actually, too. Marcus: Well, I want to thank you again for coming on my podcast. To wrap up, you have any final thoughts or comments you'd like to share? Barcus: It could be money. If your why is to make money, then that's great. Marcus: .. because what happens when you get the new car or you get the new house or whatever. Then why do you keep going on? Barcus: But, yeah. I mean, the end goal is just to be the best that I can and deliver the best products that I can. I want my wife to never worry about money. If my family ever needs something one day, at the end of the day, as an emergency, I want to be able to provide that. My mom and dad had a really tough job raising me. I was not a model kid. I wasn't a bad kid, but I'm pretty stubborn. Barcus: Least I can do is repay them back somehow. Marcus: That's awesome, man. Barcus, I appreciate your willingness to sit with me and share your journey as a business owner and entrepreneur. It's great having you. man. Barcus: Thank you so much. I really appreciate it.